Participants can donate until 4:30 p.m. Thursday in the East Tower Atrium on the center's main campus. 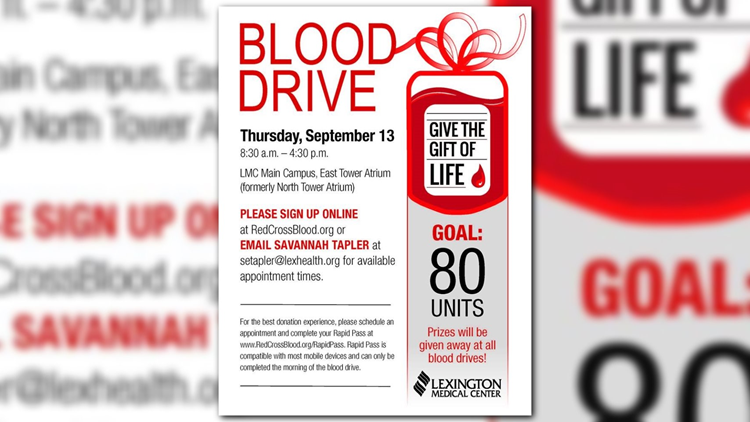 Lexington, SC (WLTX) - In anticipation of Hurricane Florence, the Lexington Medical Center is holding a blood drive Thursday. The center says donations will be helpful as the storm threatens South Carolina, and they hope to collect 80 units throughout the day. To sign up, visit redcrossblood.org.